If you've followed me for a while, you know I've had a bit of an obsession with pretty, brightly-colored donuts. While I still intend to keep buying them on occasion, I thought it would be fun to try my hand at the homemade version! I happened upon a mini donut pan at TJ Maxx last week, which was providential! These little donuts are baked and not fried, which makes my sensitive stomach happy! I love that they are made from scratch, and I can pronounce all of the ingredients that I'm feeding my sons :) Not to mention, they are delicious!! I would say they're a mix of a soft, chocolate cupcake and a donut. Browned butter really enriches the flavor, and I'll admit a lot of batter was consumed in the baking process. I'm really excited about future baking endeavors with my new donut pan! This recipe makes around 16 mini donuts (a pan with 12 holes), or 8-10 full-size donuts. My little helper assisted me in measuring and mixing the dry ingredients! Move up one of the oven racks to the upper third of the oven. Preheat the oven to 325 degrees. Coat the donut pan with nonstick spray. Mix together the flour, cocoa powder, salt, baking soda, and brown sugar in a large bowl. In a separate bowl, whisk together buttermilk, egg, melted butter, and vanilla extract until well-combined. Add the wet ingredients to the dry ingredients, and make sure it is mixed well. Spoon the batter into the donut pan so that each hole is about 2/3 full. Smooth the batter in each hole. Bake the donuts for around 11 minutes, or until a toothpick stuck into one of the donuts comes out clean. Once out of the oven, let the donuts sit for five minutes, and then carefully invert them onto a wire rack to cool. If there is batter left, bake another batch! When the donuts have cooled, start preparing the glaze. In a medium bowl, whisk together the powdered sugar, cocoa powder, and salt. Add in the vanilla extract and 2 of the Tablespoons of whole milk. If needed add another Tablespoon or two of milk gradually. The glaze should be thick, but pourable. Dip each donut into the glaze. Once back on the wire rack, add sprinkles. One of the biggest reasons why I blog is so that I can share my faith with the people in my life, and with people I’ve been blessed to meet through the internet. I started the blog as a means to share our lives with family and friends who live far away. And now, it’s become a hobby, almost a part-time job, and a ministry. I’ve been doing reviews and giveaways for quite a while for a company called “Propeller/ Fly By Promotions” in Nashville. If you’ve been following for the past couple of years, you know I’ve given away children’s books, marriage books, and a few movies and documentaries. And lately, to my joy, I’ve been able to review music like Plumb and Christy Nockels. And today, we’re talking about “Hillsong United”! The band which wowed us all with “Oceans” just released a new album, EMPIRES, yesterday! The twelve songs on EMPIRES are soulful and sweetly melancholy, The album is largely instrumental, and it focuses on the musicality, while the singing voices are quiet and take a backseat to the praise. It’s modern, beautiful worship music. Steve and I have heard the song “Touch the Sky” making radio waves and on the TODAY show, and it’s definitely powerful. “My heart beating/ My soul breathing/ I found my life/ When I laid it down. . . I also have to mention that Michael W. Smith released a new video today for his song, SKY SPILLS OVER! 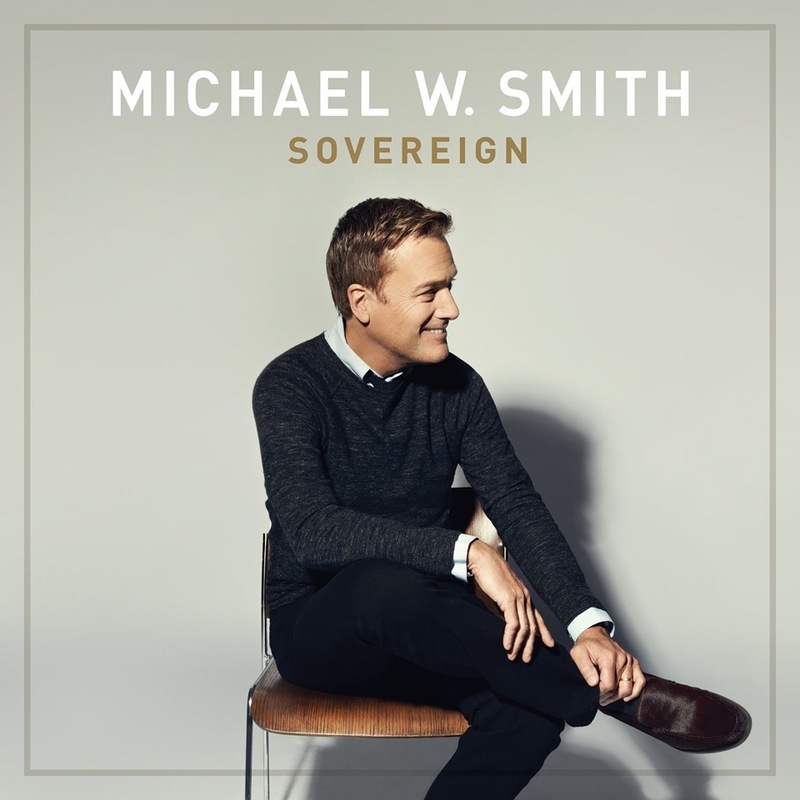 Keep tuning in because I will be giving away a copy of Michael W. Smith’s album, SOVEREIGN, in the next week or so! Enter the Rafflecopter below for a chance to win the new Hillsong United album, EMPIRES! Happy Memorial Day! I hope the weather is nice where you are, your barbeques are hot, and your family is close! Today, I’m linking up with Erika and Andrea to share about my favorite hair products! I am, by no means, a hair expert,but I’m learning more and more as time goes on. I don’t want to spend an arm and a leg on hair products, but I still believe that quality matters when it comes to hair supplies—they are not all created equal :) I also think that products are necessary when trying to attempt any and all styling. For shampoo and conditioner, I like products that add a little bit of volume. Right now, I’m using Pantene Pro-V “Sheer Volume”. I honestly don’t notice a huge difference in my hair when I use different shampoos and conditioners. What’s most important to me, having such long hair, is that the conditioner actually works to smooth out the tangles and leaves my hair feeling soft and smooth. I can definitely say that Pantene does that for me. These are two of my drugstore loves. “Not Your Mother’s Beach Babe Sea Salt Spray” has an amazing coconutty smell, and does well for adding some texture and dimension to wet hair. I use Dove Dry Shampoo on my second-day hair. Dry shampoo is never the miracle that I’m hoping for when my hair gets greasy, but this one does a good job at lifting the hair off of my scalp to make it look less dirty. My favorite way to wear my hair is curled. My hair is stick-straight, and I have trouble getting the curl to last longer than 10 minutes. One of the BEST products I’ve found is Redken Hot Sets 22. I picked it up at Ulta (for $17—which is a little steep). It’s a thermal setting mist, and it is a heat protectant spray. I spritz it on each section of hair before I curl it with the iron. It seems to make all the difference in getting some lasting curls! I finish up with Suave hairspray, but I’m curious if switching to a Redken hairspray would really seal the deal for my curls. These two products are great, though I admit that I don’t use them very often. In summer humidity, Paul Mitchell’s Super Skinny Serum is awesome at keeping the frizz at bay. Kate (hair guru from The Small Things Blog) highly recommends Aquage Uplifting Foam for volume, but I haven’t quite figured out its super power yet. I do see additional volume when it’s sprayed at the roots and blow-dryed, but it makes my hair feel greasy the next day, so I would have to start showering daily if I was serious about Aquage. What products and supplies do you use and recommend? My ears are always open to hearing about what works! Our plans are filling up for this weekend, and I’m getting excited for some grilling, picnicking, and relaxing with friends and family! I really can’t believe we’re approaching the last week of May! I love their similar (but not completely matching) light blue shirts! He is getting so big, and starting to climb on EVERYTHING! My favorite outfit of the week was this crochet-back, white kimono that I posted about on Wednesday. I can’t say that I’ve ever worn a kimono before, but I’m definitely in love with the comfortable yet elegant feel of it! 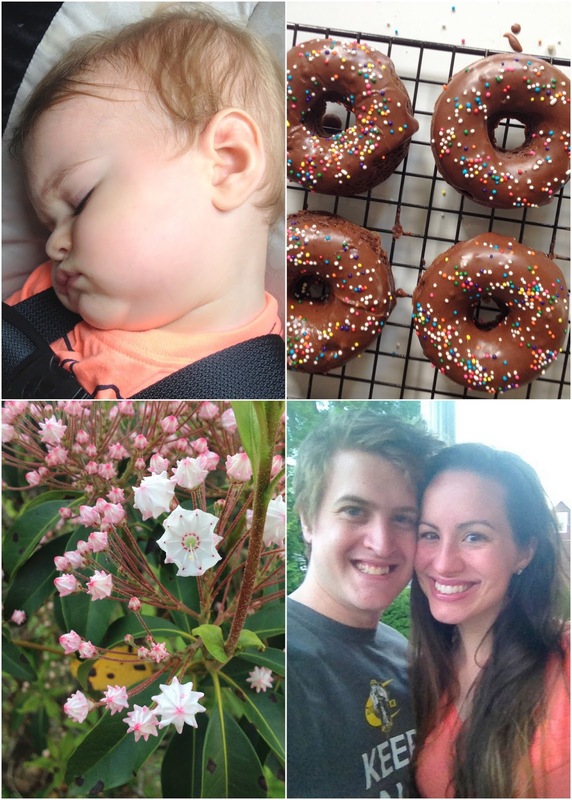 Thank you for the positive feedback on Tuesday’s breastfeeding post! Goodness, I am going to miss Ephraim being a baby. Nursing him has been one of the best things of my life. Did you catch yesterday’s post? I guest-blogged for Erika and claimed my crazy! It was so much fun to share all of my silly quirks with you! I know I’ve mentioned my robins every week for about a month, but these photos were too good not to share! It was so amazing to watch the mom and the dad bringing worms and bugs to their three babies for two weeks. They came every 10 or 15 minutes, from sun-up until sun-down. The babies got their feathers and plumped up so quickly! Yesterday morning, I watched all three of the fledglings fly out of the nest. It was one of the coolest things I’ve ever seen. Watching the nest for a month has hands-down been the best science/nature experience I’ve ever had! The babies right after they left the nest. Hope you all have a fabulous Memorial Day weekend!